Gambling is a form of entertainment that could be described as paying for itself. It should not be seen as a source of additional income. However, some people do not apply the necessary disciplines and end up losing huge amounts of money and even having their lives changed negatively as a result. One of the basic disciplines includes not exceeding your initial budget, even if it means you have not won anything by the time you reach that limit. Advances in technology have enabled physical gambling machines to be replaced with software-based games (applications) that can be played on a desktop computer or a mobile device, including a mobile phones. Limitations on iPhones and iPads with the running of Adobe Flash have been overcome with the newer HTML5 standard for web page rendering. Older cell phones may still rely on Java, while more modern ones will have touch screen capability that can greatly enhance your gaming experience. Of course tablets offer a better playing experience than cell phones due their larger screens and generally better hardware. How to win on pokies and what are pokie machines exactly? 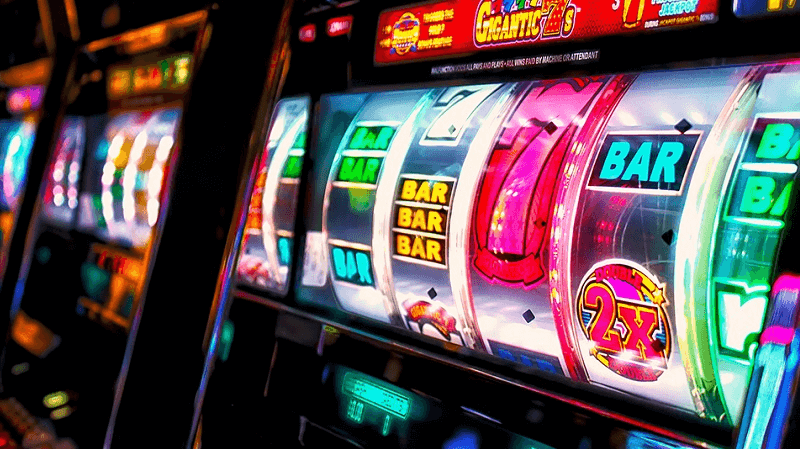 They’re more commonly referred to as “slot machines” in other parts of the world. A machine displays a row of reels that spin. Depending on the combination of reels that it stops at (calculated by a computer in the machine using a random number generator), there is a payout based on an amount that you “bet” before spinning the reels. Games are made more enticing by including optional features such as doubling up your payout and jackpots where you can win additional prizes such as a car or a large sum of money. What are your chances of winning? In some countries (certainly in Australia) pokies are programmed to pay a certain percentage during the machine’s life and this cannot be altered by a player or by the management of a casino. However, there’s no way of knowing if you’ll be the lucky one playing when the machine is ready to pay out. Given these facts, the more you bet on a machine, the more you stand to lose in the long run. 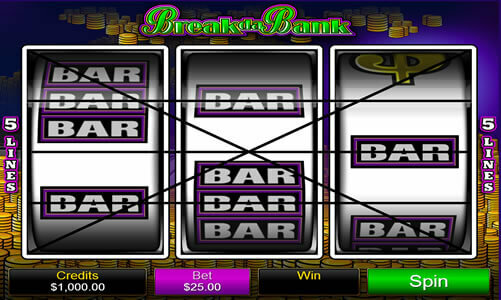 Let’s look at the applications that bring pokies to your mobile device. These applications are typically accessible on casino websites such as Fair Go Casino and Slot land casino. They are written with gaming software provided by vendors such as Microgaming, IGT, Aristocrat Technologies, Real Time Gaming, Rival and Slotland. Games range from classic pub pokies with the traditional three reels all the way through to the latest seven reel games with advanced graphics and detailed bonus games. Applications vary between money-paying and not, and follow different styles and layouts. These games have three rows with five reels, but they usually only have nine pay lines. The point of playing the older games is that it is a lot easier to keep up with which pay lines you have activated, and it is easier to see on smaller screens when you have won and when you have not. With fewer pay lines, you also have more options for playing penny stakes while on the go. A more classic mobile layout has three reels and three rows, but each individual spot spins independently. This creates a three-by-three grid with nine different symbols and the opportunity to have eight different pay lines. This works by having three go vertically, three horizontally and two diagonally. This is a fun format to use on mobile pokies because it’s a lot different than what you would play on a computer. These later versions of “pure classic” pokies are often packed with features, jackpots and plenty of action that fit well on smaller screens. The use of three reels instead of five also helps with small mobile device screens. Additionally, many of these games use three or five pay lines which gives you multiple ways to win while also being few enough so you can easily keep up with the action. You can play pokies “on-line” on websites without downloading any software, but also by downloading a fully functional application that will run on your device while you’re on the go. 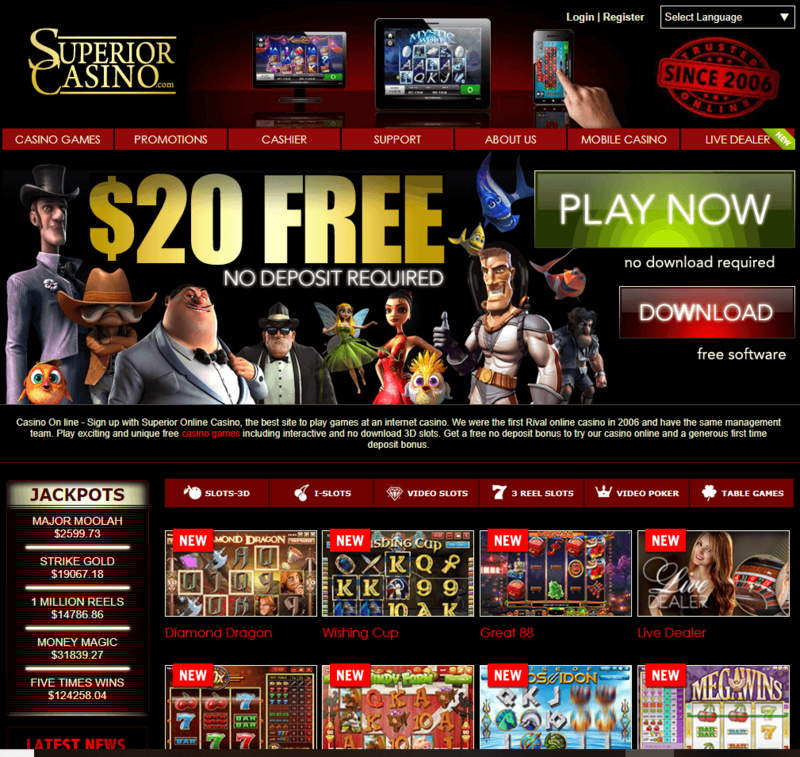 Either way will require you to register on the website (casino) offering the games. When you play on a website, all your device should need is a “browser” that will display the player interface correctly. When you play a downloaded game your device must have adequate hardware and it will invoke additional software to run the game’s algorithms and display the player interface. There are some drawbacks of playing on-line without downloading. As these games run on the vendor’s servers, they take up space and this usually results in a smaller variety of games on offer. Sound and video quality is also typically compromised for the same reason. On the other hand, if you have a mobile device with decent hardware and software, you can choose from a larger variety of games to download – and even play while you’re not connected to the Internet. Playing with a downloaded game has other advantages too, for example saving of game progress, instant loading of games without an Internet connection and receiving newer versions as they become available. How to install and play these games on your phone – Click here. How to win on pokies? Apart from the disciplines described earlier, there are some points to consider in order to ensure a pleasurable pokies experience without running the risk of bankrupting yourself. Keep a firm handle on your money. Choose bet sizes in ways that make sense compared to the volatility of the games you are playing. You might start off your session checking your cashier window to see how much money you have left in your account to try to decide on some complicated way of determining your bet size. A better way to work with bankroll management for mobile pokies is to just think of a “standard” bet size you always want to use as a maximum when you make your deposit. When you look at one of these two, it usually gives you a reasonable idea of the other as long as you know what the top prize is when you’re given the volatility. The connection between these two variables will largely determine what kind of pokies experience you’re going to have and what kind of bankroll management guidelines you’ll need to follow. Make sure that your casino software always requires you to log in every single time. Do not save your username or password. Money management is usually taken care of in a secure way, thanks to measures put in place by casino websites and software on your device. Pay attention to which promotions you take advantage of. It doesn’t make sense to put up $50 for a pokies bonus worth 100 percent when depositing at least $75 will get you 125 percent instead. Look up the payout rates for the games you play and make sure you aren’t playing games that have a lot worse payout rates than others. A payout difference of 99 percent versus 97 percent might not seem like such a big deal until you realize that the house advantage in the second game is three times as high. Mobile pokies have a different set of bonus offers available when compared to standard downloadable pokies, and the terms and conditions can be a bit different to reflect the mobile environment. Time limitations may exist when it comes to play-through requirements. With computer-based bonuses you can put in a lot of time playing, but if you only play on your phone once in a while, then having the time to put in the spins needed can be quite important. Also be aware that certain bonuses sometimes won’t be available for mobile games. Decide how much cash you’re willing to part with until you stop, as well as how much of a win means your session is over. Manage and be aware of your emotions. Pokies should be a fun experience and not one that you walk away from disappointed or feeling done-in. Massive payouts are rare. You should not expect a life-changing win from a pokies session – for that there are other forms of gambling. Yes, indeed, at this point, we are going to talk about the online poker machines because this kind of gambling machine has been really famous nowadays. Perhaps, it is because of the simplicity to play the game and the people can play it directly on their iphones at home or in the bus. Well, let’s talk about the first thing. To read and understand the pokies is definitely the most basic skill that you need to master. Wise man says that you should know your enemies proper to beat them. This is exactly what you are going to do. Tons of various poker machines types can be found out there. Each of them has their own rules. This is where the trouble might start. The solution for this matter is to read and also learn the instructions thoroughly. It is really silly to lose some money just because you are reckless enough in playing the game since you think that you are doing the right thing but the truth is that you are digging your own grave. To learn about the complete things related to the machine will help you to determine the investment that you need to do. Whenever you have done reading and mastering the instructions, you can start to move on to the next phase. This is the time for you to manage the money including deciding the bets that you need to make. In other words, you need to know how much money that you need to risk. For such matter, you need to recognize your financial condition first. You must never make the investment that you can never be able to deal with or otherwise you will end up in troublesome condition. Well, you might think that you need to have some practice to train your money management skill. How to do that? Here comes the help from the free games. You can deal with the practice as many as you want. Practice for Fun before your play with Real Money. Once you have found the best formula in managing the finance, you can move to the next level which means that you can start to play for real money. By mastering such capabilities, there are at least two things that you can earn. The first is the fact that you can reduce the risk in losing big amount of money and the second is that you can optimize the amount of the payouts that you can earn. In the future, technological advances should take pokies to higher levels. Especially social media integration seems inevitable, where you can compete on-line with friends and family across the globe at any time of day and on any device. Advanced devices are becoming geographically and environmentally aware, making it possible to tailor games according to where you’re located and according to what else you’re busy with at that moment. Rest assured that the basic rules and principles of pokies will remain unchanged. Maybe that is a good thing!